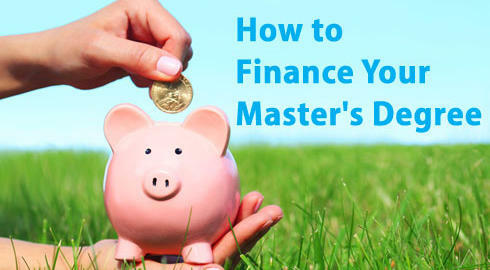 If you’re worrying about how to finance your Master’s degree, you’re almost certainly not alone. Moving on to postgraduate study after your Bachelor’s means that you no longer have a student loan to fall back on, and funding is a lot more of a grey area. Again, this varies massively between (and sometimes within) cities. While Cardiff is a relatively cheap city to live in, for instance, London is a very different story. Make sure you take into account all your bills, including your phone bill, internet and TV license (as well as the main ones like gas, water and electricity). Set yourself a realistic weekly budget for food, travel, going out etc. This will vary considerably. If you’re studying the likes of English or History you may need to buy any number of books (if some are difficult to get hold of in the library), and if you’re doing something like Architecture you may need even more specialist equipment. Make sure you check the reading list of your course before it starts, and find out what equipment/facilities are available through the university. What Funding is Available for Master's Students? Both the Co-Operative Bank and Barclays Bank offer career development loans to graduates who are hoping to further their career options through postgraduate study. You can apply for a career development loan from either bank, and if successful you will receive a loan that won’t start accruing interest (or have to be paid back) until after you’ve finished your Master’s Degree. Make sure you have a back-up plan, though – both banks may choose to turn down your application. There are seven different research councils in the UK which support academic research across a range of subjects. The funding available from these Councils is notoriously hard to come by, however (although this does vary between subjects), with awards typically going to students who have achieved a 1st at undergrad (and who have put a lot of work into their application). It’s always worth doing some research for any other forms of funding available. Some private trusts give out grants based on location and need, so you may be able to find other sources of funding if you don’t make an academic scholarship (although it probably won’t be enough to cover all your costs). If you find that you have don’t quite have enough money to cover all your outgoings for the year, you may want to look into part-time work options. It’s important to check how ‘full-time’ your Master’s degree is likely to be first though, as you may only be able to commit to a certain number of work hours a week (and you don’t want to jeopardise your final results by trying to take on too much). Keen to start applying? Search for Master’s degree courses.